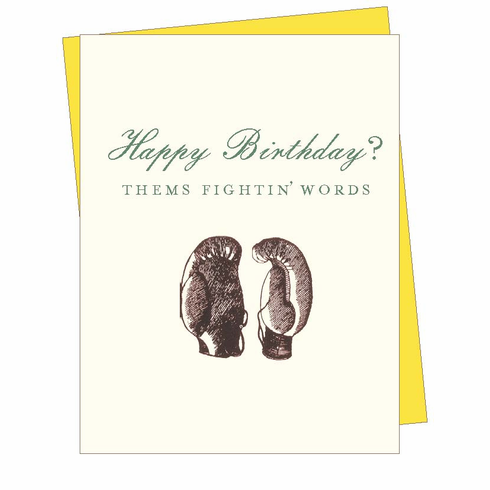 Illustration of boxing gloves with text that reads "Happy Birthday? Them's fightin' words." Blank inside.